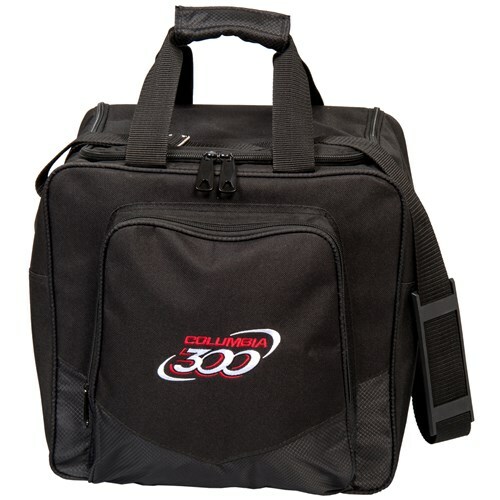 Columbia continues their White Dot success with White Dot Single Tote bowling bags. These brightly colored bowling bags hold one bowling balls, shoes up to a men's size 14, as well as a few accessories. This fun and functional bag has an adjustable shoulder strap and a foam ball holder making it great for adults or children. Dimensions: 14" x 8" x 13.5"
Due to the time it takes to produce the Columbia White Dot Single Tote Black ball it will ship in immediately. We cannot ship this ball outside the United States.